Could Facebook's new headset be as slim as this? 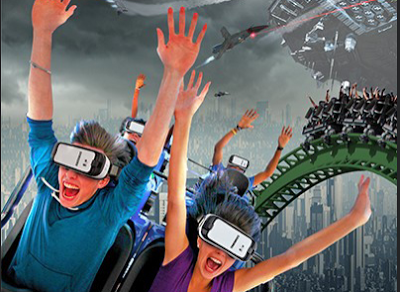 Six Flags Entertainment Company is partnering with Samsung Electronics to add synchronized 360-degree video experiences on their roller coasters via Samsung Gear VR headsets. Called Virtual Reality (VR) Roller Coasters, roller coaster riders will don Samsung Gear VR headsets to be immersed in a 360-video experience synchronized with their roller coaster’s movements. Six Flags will launch the VR Roller Coasters starting March 10 in its Arlington, Texas park, followed by rollouts in other locations throughout the U.S. in Spring. This sounds very exciting and innovative. If VR Roller Coasters are well received, it can also build awareness for other 360 products and media.